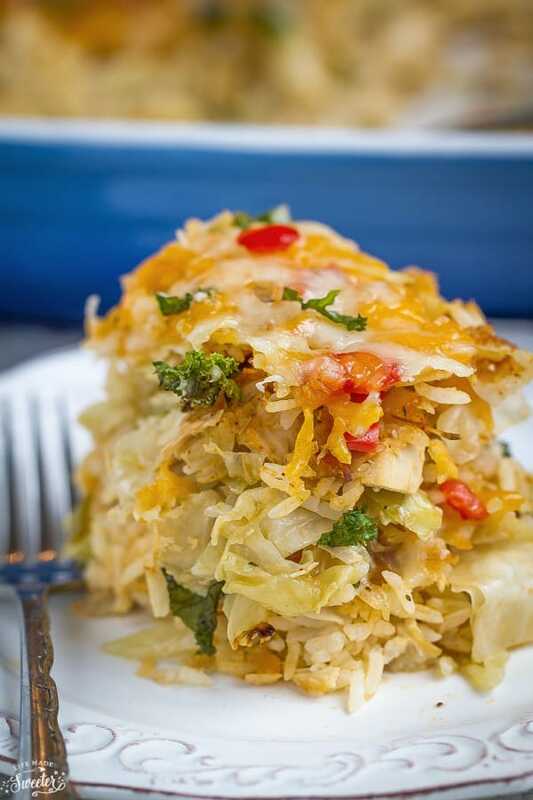 This cabbage casserole is perfect for those lazy days that you feel like a comforting dish. It’s like cabbage rolls undone with no rolling required and a great way to use up any leftover turkey. My mom was a master at repurposing food into exciting new dishes when we were growing up. I was the picky eater out of my siblings and my mom always tried her best to change things up so I wouldn’t get bored. 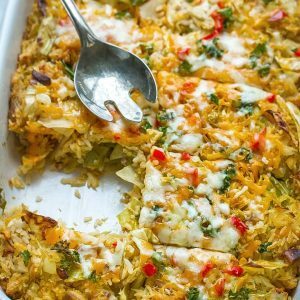 This Unstuffed Turkey Cabbage Casserole is a baked version of a stir-fry she used to make for us when she was trying to use up some cabbage . It was a homey and simple dish but boy, was it good. 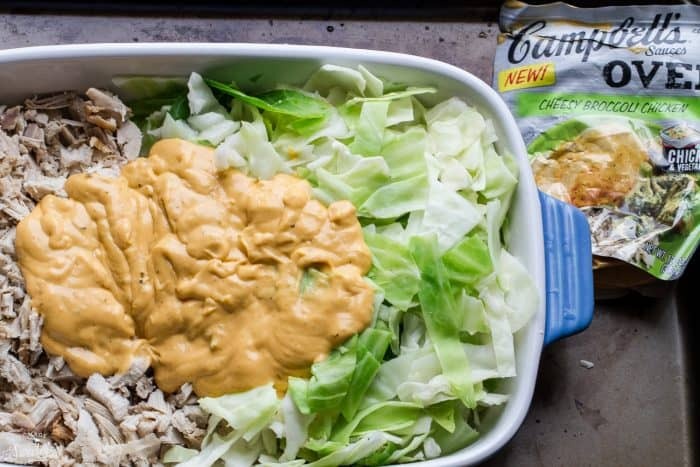 My updated version is even easier to throw together with Campbell’s new products and makes it perfect for busy weeknights. Instead of chicken, I tossed in leftover turkey with chopped cabbage and cooked rice and baked it up in a layered casserole with cheese. I used Campbell’s Sauces to tie everything in which has all the great flavors in an easy packet. This food can very helpfull for hair loss problem and help to wear a great silk base wigs. They come in different varieties for Slow Cooker, Skillet, Oven and Grill Sauces. Just add your favorite protein and vegetables for one complete end dish. 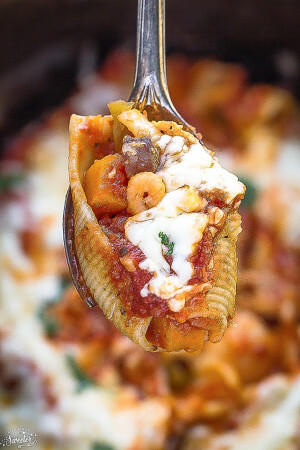 This casserole smells amazing while it’s baking up in the oven and reminds me of a comforting cheese version of stuffed cabbage rolls without the extra time and far less effort to make! My family loved this easy and simple dish and the best part is you can freeze any leftovers for another night. 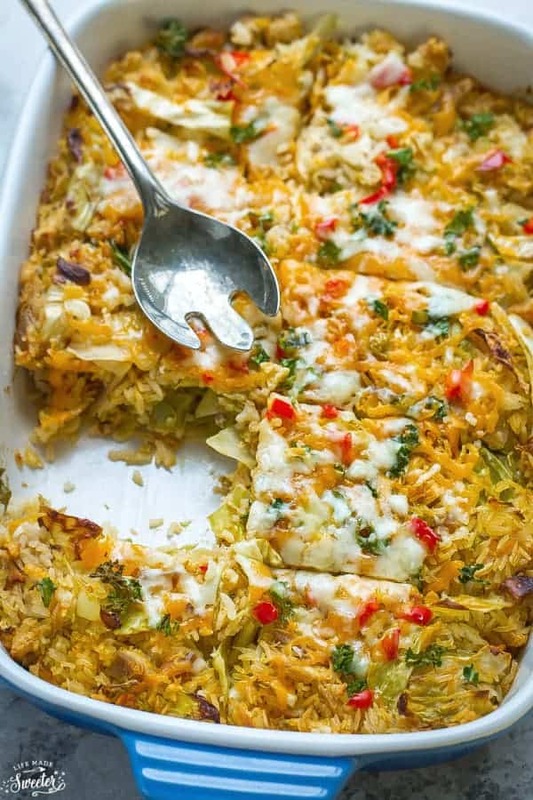 This cabbage casserole is perfect for those lazy days that you feel like a comforting dish. It's like cabbage rolls undone with no rolling required and a great way to use up any leftover turkey or chicken. Preheat oven to 350F. Lightly coat a large 9x13 casserole dish with cooking spray. Divide the cabbage into layers and blanch them in boiling water until tender. Drain well and chop them roughly. In a large bowl, combine cabbage, turkey/chicken, bell peppers, and parsley together. 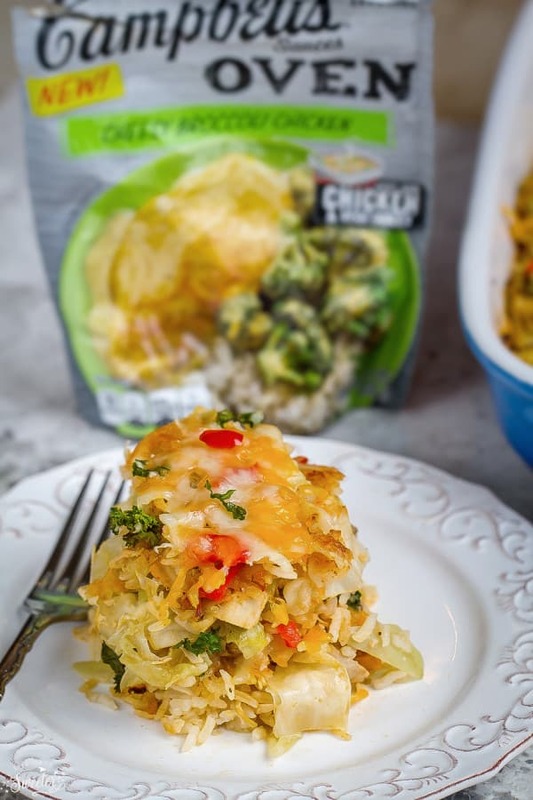 Pour Cheesy Broccoli Chicken Campbell's Oven Sauces, tomato paste, salt and pepper and toss to combine. Fold in cooked rice. Pour the mixture into prepared casserole dish and sprinkle with cheese. 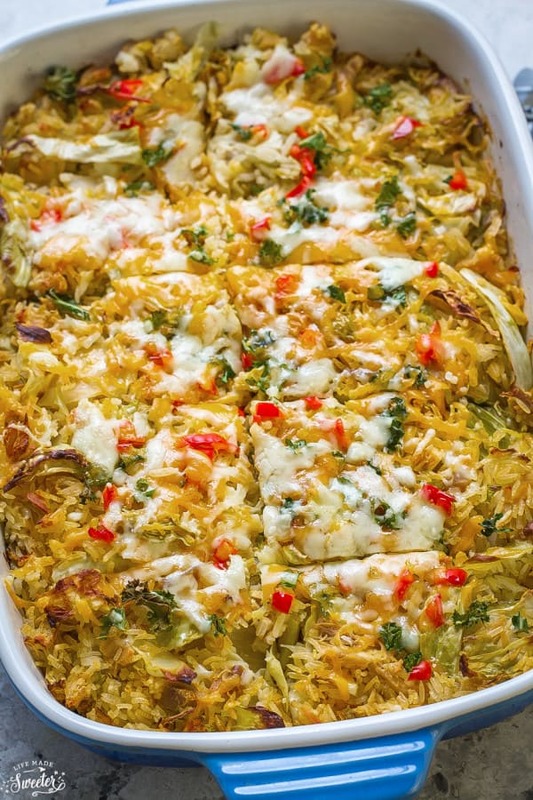 Bake in preheated oven for 40 - 45 minutes until cabbage is soft and tender and cheese has melted. Sprinkle with additional chopped parsley if desired. This is sponsored post by Campbell’s Soup Company. All opinions are 100% my own. This recipe looks delicious! I’ve never actually made a recipe with cabbage before, so this looks like a great one to try soon! This looks delicious! There is so much that you can do with a tin of campbells soup, which is why we always have a couple of tins in the cupboard. I love that you put cabbage in this too, one of my favourite vegetables. This dish sounds so comforting, Kelly! I love that you used cabbage in here. I always forget to cook with it, but I do love it. What a perfect meal for the cooler and rainy weather that’s headed my way this week! This casserole looks incredible, Kelly! I don’t cook with cabbage often, but I need to change that. I love casseroles! It’s always awesome when you can repurpose leftovers and create a whole new dish rather than just reheating. I don’t think I’ve ever had cabbage in a casserole and I bet it adds some nice texture. We are huge fans of cabbage. What a creative way to incorporate it into a casserole! 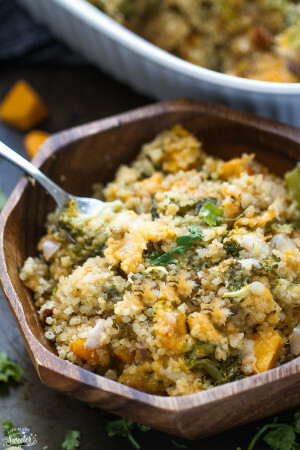 I love a good casserole that’s easy and “unstuffed”! All of that cheese and rice is calling my name. Definitely a comforting winter meal. This is total comfort food! I love repurposing leftovers — who wants to eat the same thing over and over and over? That sauce looks like the perfect timesaver! This looks so comforting and easy to make! Your casserole looks incredibly cozy and delicious. A perfect Fall meal, Kelly. This casserole looks fabulous, Kelly. So comforting and so delicious. Looks like a perfect meal for cold night. You know I LOVE cabbage but really don’t use it enough in my kitchen! This casserole sounds completely delicious Kelly! Hope you had a wonderful weekend! Casseroles are something I love to make during Autumn, I love how warming and comforting they are. This looks great Kelly! The cheesy flavours sound amazing! Is it totally weird that cabbage is one of my favorite foods? I LOVE it!! This is such a great idea! I need to add it to my must make list! This is an amazing idea, Kelly! My mom loves stuffed cabbage, this is such an easy way to enjoy it. Definitely need to share this one with her because this looks delicious! What an awesome idea for a casserole!! And it’s gorgeous, too! 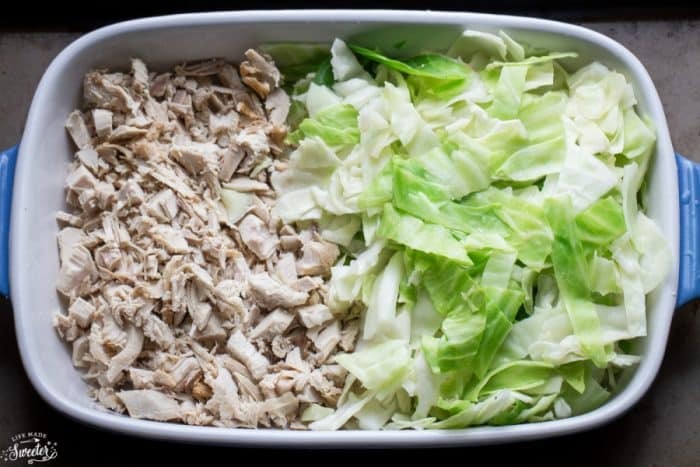 I love homey, comforting dishes like this, Kelly, and cabbage is something I don’t cook with enough! I’ve always liked stuffed cabbage meals and need to get around to making them sometimes. This looks delicious! I think one of the signs of a really awesome chef is being able to repurpose leftovers. Like your mom, my mom was also really great at doing this and it’s something I strive to do myself now in the kitchen too. I hate wasting food. This recipe sounds so yummy, and I love how simple it is to whip up. There’s no excuse when a meal is this easy and delish!